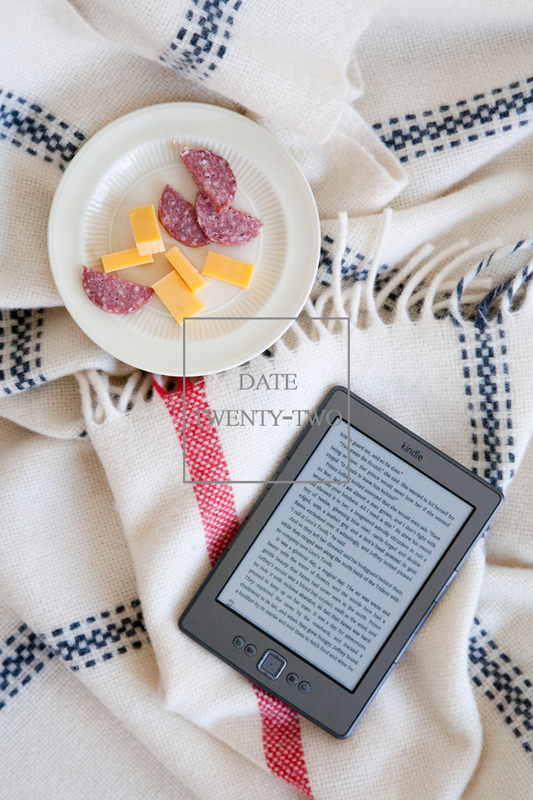 The date // Cozying up with a good book and a snack. Lately, since we have so little, we’ve really been working to take advantage of our off-time to relax and enjoy the moment… and rather than just zone out in front of the tv, we’ve been loving the chance to grab a good book and take turns reading chapters out loud. As I mentioned last week, we’ve both been meaning to get into the Game of Thrones books for a while, and reading together is so much more fun than just moving along at our own pace. Of course we’ve been watching the show (and if you have too, don’t even talk to me about last night, I’m still so upset…) so, so far, the story isn’t much of a surprise, but it’s been fun to dig a little deeper together and stop to talk and ask each other questions… or dream up elaborate theories about how it’s all going to turn out. As if we could ever guess. Do you ever read to each other? We never had until now, and it’s so amazing! This is such a fun idea! I read John the news each morning, but it’s not nearly as romantic! We read to each other from time to time. It’s funny – my husband thought it was a silly idea initially. But when I stopped reading out loud to him, he was like, “why did you stop? keep going.” Haha. It doesn’t happen every night but I think it’s a really sweet thing to do.